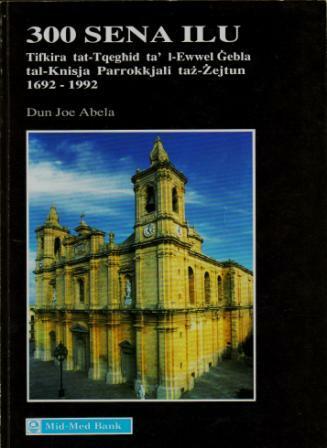 This book commemorates the 300 years from when the first stone of the Zejtun Church was laid. The book contains interesting researched material by Dun Joe Abela with references to the parish archives and the cathedral archives, on which most of the material is based on. If you need help you trace the book should you need to know further about this particular event click here.